Khirbet Umm el-Aṣafir is located south of the Har Ḥoma neighborhood in the southern outskirts of modern Jerusalem, some 2 km northeast of Bethlehem and 660 m above sea level. The site was surveyed in the nineteenth century by the Palestine Exploration Fund; noted were rock-cut caves and building remains, including those of a church. 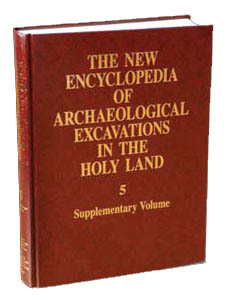 During the 1950s, a survey was conducted by V. C. Corbo, who believed that there was a Byzantine monastery at the site, similar to one excavated at nearby Bir el-Qutt. The site appears in archaeological surveys conducted by A. Kloner in 2000. In 2002, its western part was excavated by S. Batz and U. Greenfeld, on behalf of the Staff Officer for Archaeology in Judea and Samaria. Excavations at the site indicate settlement from the seventh century BCE to the eighth century CE. The remains include a group of dwelling and burial caves, a Byzantine winepress, and a bathhouse complex at the center of the site. Three main periods were discerned in the bathhouse complex: Early Roman, Late Roman, and Byzantine.